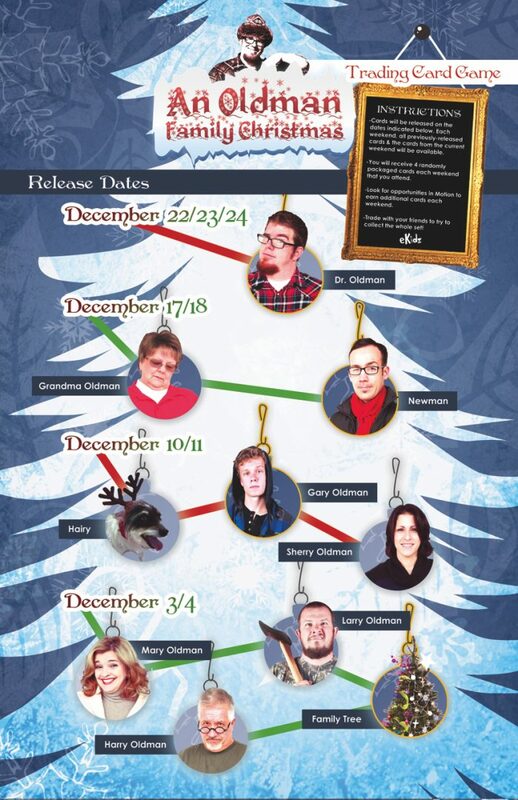 Barry, Harry, Mary, Larry, Sherry, Gary, Hairy, the Oldman Family Tree . . . if your child is in Motion, get used to these names! 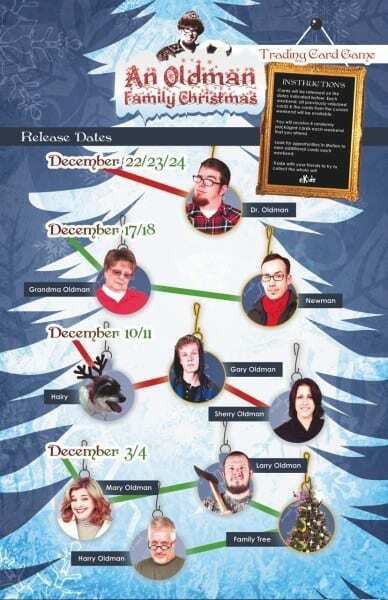 This past weekend, we released the first of our Oldman Family Christmas Trading Cards to rave reviews from the Motion kids! Each weekend in December your child comes to Motion, they will get four trading cards. Through the month, they will have the opportunity to collect trading cards and earn prizes. A SPECIAL Behind-The-Scences Video from the Oldman Family: collect the 4 code cards to unlock the video that will be posted right here on the eKidz Blog, beginning December 22. All prizes will be awarded during the Christmas worship experiences. Your child can attend any of the Christmas worship experiences to claim their prize. The heart behind this initiative is engagement. We believe that the message we’re presenting to your child every weekend is the most important one they can hear, and we’ll do anything we can to create excitement so that your child is more likely to connect with what they’re hearing. Including making trading cards of the Oldman family! Talk with your child about the trading cards. Find out which ones they got and which ones they still need. Have your child bring the cards to eKidz each weekend to trade and collect more. And watch as they learn about generosity this Christmas season!